Do you like crime dramas? Do you like mysteries? Do you like to see justice be served? Do you like intricate puzzles? Do you like to use your guesswork and guile to see you win? 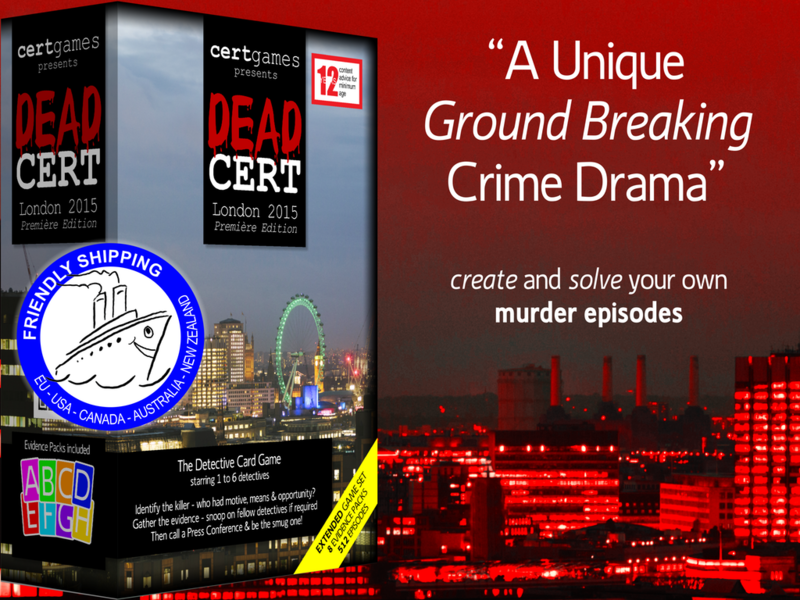 Then chances are you'll like Deadcert, a new card game from Certgames. In it, players are detectives looking to solve crimes in London. There's a total of 512 possible crimes that have been committed, so there's plenty of replayability built in. No worry about having Colonel Mustard in the Atrium with the Lead Pipe yet again.